You are here: Home / Learn About Tea / What is Specialty Tea (Loose Leaf Tea)? Specialty tea is high-grade loose leaf tea from small tea estates. It is the segment of the tea industry that produces premium tea usually from single tea gardens. Discover the different types of loose leaf tea, where to buy specialty loose leaf tea and how to brew specialty tea. I discovered loose leaf tea, also called specialty tea, quite by accident. Even though I drank tea my entire life, I never knew such a world existed. If you’ve read about me, you already know that it was during my time of research and development for my bottled iced tea business that I explored tea beyond supermarket tea in bags. What is Loose Leaf Tea or Specialty Tea? Basically, specialty tea is high-grade loose leaf tea usually from small tea estates. 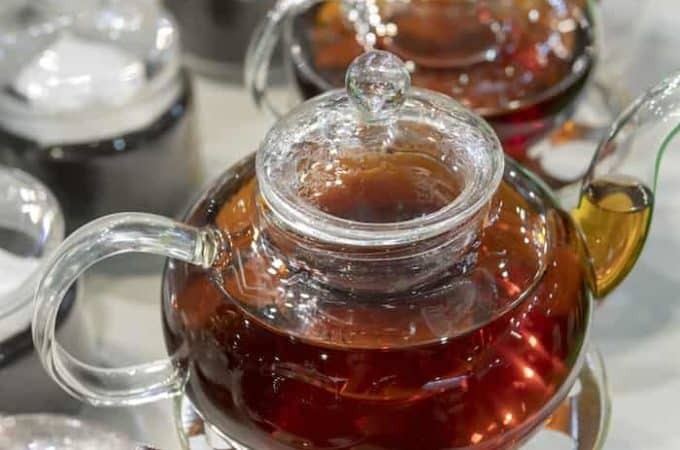 It is the segment of the tea industry that produces high-quality tea, single estate tea, fair trade, organic tea and rare tea such as white or Pu-erh. But specialty tea is really much more than that. Much like wine, the region in which the tea is grown and subsequently processed, gives its own distinctive flavor. Specialty tea or fine loose leaf tea is produced for its exceptional qualities. Unlike mass-market or commodity tea, specialty tea consists of whole leaf or partial loose leaf tea. Most commodity tea is finely cut and blended for use in tea bags. Thousands of tea estates around the world produce tea. China, Japan, Taiwan, India, and Sri Lanka are the major tea producing countries. Other countries producing tea on a smaller scale are Indonesia, Africa, Vietnam, and Southeast Asia. Some regions of the Americas are experimenting with growing tea including Hawaii, Mississipi, South Carolina, and Columbia. Each estate masterfully crafts a unique tea all originating from the Camellia sinensis plant. It is the process of picking and drying that determines the type of tea; white, green, yellow, oolong, black or Pu-erh. It is amazing to me how one plant can produce so many different varieties of tea. Specialty teas have a superior flavor because the leaves are larger. They are not cut up into tiny little pieces, and so they impart more flavor than the finely cut leaves of tea bag tea. Also known as loose-leaf tea, specialty teas are left loose for ease of brewing. They usually come from a single estate and each estate is revered for its unique flavor profile. The art of tea began over 5,000 years ago in China, with skilled artisans handpicking and processing the top two leaves and bud from each tea shrub, known as Camellia sinensis, and handcrafting in small batches. Their time-honored practices are still followed today inspiring us to brew their fine loose leaf tea while respecting the traditional way of brewing. As I mentioned, all loose leaf tea comes from the same plant, Camellia sinensis. The difference is in the way it is processed or oxidized. There are five main styles of tea: black, green, white, oolong, and Pu-erh. Black tea is fully oxidized producing a hearty deep rich flavor of amber colored tea. 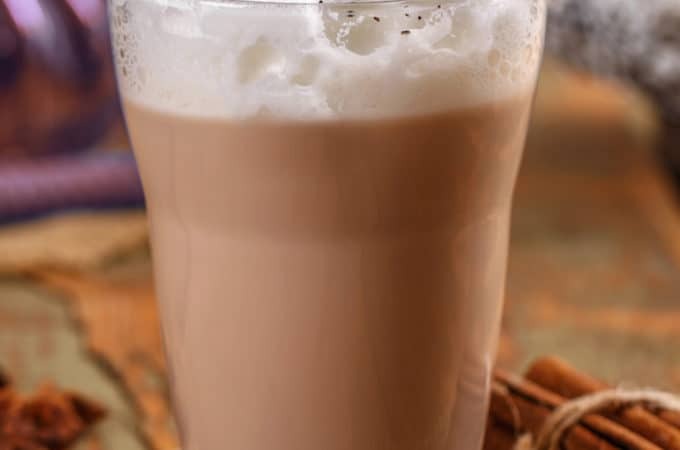 It is the most popular style of tea in most western countries and used in many blends such as Earl Grey, English Breakfast, and Chai. Green tea is not oxidized. It is roasted, rolled and either steam or pan fried preventing oxidation. This produces a refreshing tea with a sweet smelling aroma. Green tea has a lighter flavor than black tea. It is most popular in eastern countries, but becoming more so in the west. White tea is barely oxidized and has a sweet subtle flavor. White tea is mostly processed from the bud only but can incorporate the first or second leaf as well. Oolongs are partially oxidized, within a range of 12 to 80 percent. Oolongs are some of the most prized teas due to their intricate processing, which provides a complex flavor that evolves with each sip. The flavor depends on the skills of the tea maker. 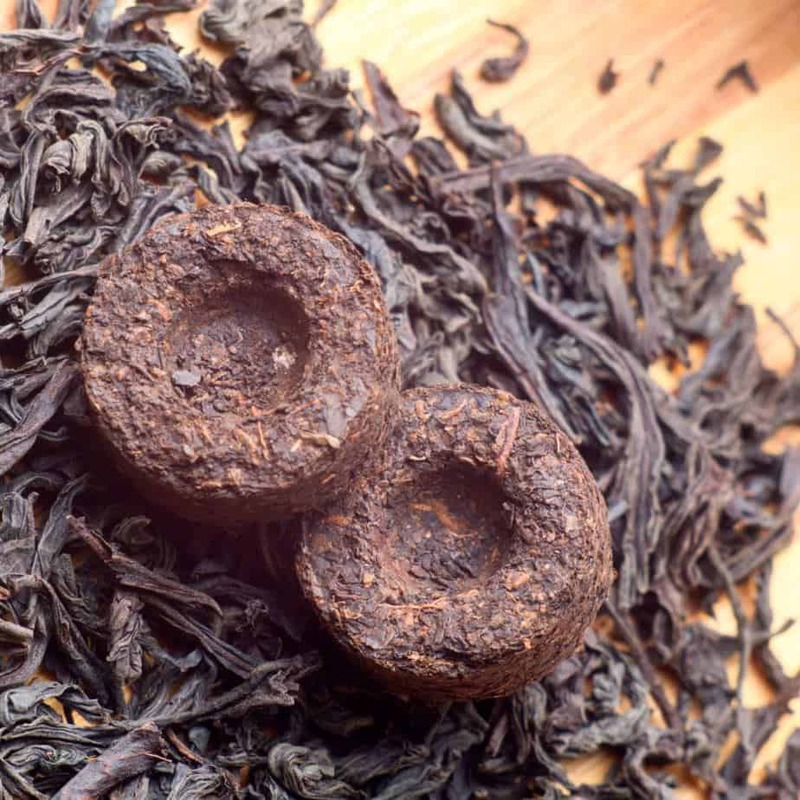 Pu-erh tea is an aromatic black tea originating in China. The leaves undergo double fermentation and are compressed into bricks or cakes. This made it easy to transport and exchange tea in ancient China, although today you can also purchase loose Pu-erh. Still produced today, this is perhaps the most exotic and sought-after of Chinese tea. First, throw away your tea ball, please! Brewing specialty tea is an art you can easily learn. And well worth the effort. There is not a one size fits all formula for brewing loose leaf tea. There are many different methods and customs for brewing tea. Whole or partial loose leaf tea comes in a variety of styles so steeping times will vary with the tea. The amount of tea you use will also vary with the size of the leaf and the preference of the tea drinker. In the beginning, follow the steeping guides from your tea merchant. You can customize to your own taste with subsequent brews. The reason I say throw away your tea ball is they were designed for western use when the available loose leaf tea was always cut very fine. Now with specialty teas becoming more available to the west from eastern tea growing nations, the premium tea leaf is just too large for the confined space of a tea ball. It will not steep properly. Use an open mesh strainer instead. If you don’t have one, simply steep the leaf loosely in a teapot and pour into a cup through a strainer for drinking. The leaf will have more room to open up and infuse much more flavor. In general, it is best to use filtered water. Municipal drinking water can have a chemical taste and well water may be too high in mineral content. The ideal water has a neutral pH value of 7.0. Most bottled spring waters will work well if you don’t like your filtered tap water. I use my municipal tap water once filtered without a problem. Aside from the technical aspects of tea, there is the art of tea. Tea has been regarded for thousands of years as the key to good health, happiness, and wisdom. Tea has caught the attention of researchers who are discovering its many benefits. There are over 3,000 published, science-based studies regarding the health-promoting benefits of tea, proving tea is the ultimate beverage. Because of its unique chemical properties, tea provides a calm focused energy. Tea is the vehicle that allows you to contemplate, share and connect. Because specialty tea is a very niche market, tea shops are not that plentiful, but demand is growing and they are becoming easier to find. The only way to know what you will like is to go to the shops and try some samples. If you buy loose leaf tea online it’s a little bit more difficult unless you already know what you like. That’s why I wrote this buying guide for you. I’ve shopped them all! Many online tea shops sell small variety packs and send free samples with your order so you can try different teas. Part of the fun is trying new teas and experimenting with what you like. My absolute favorite tea of all time is Black Dragon Pearl from Yunnan, China. I tried it out of curiosity and could not believe the flavor! This is my go-to cup of tea and the tea I drink every morning. Everyone I share it with truly enjoys its lovely flavor. The pure beauty of all this is that specialty teas are cultivated and processed so they do not need additional flavoring. You will be amazed at how each tea imparts a unique and delicious flavor all on its own! Experiment, share and enjoy. Because life really is better with tea. I am a huge tea drinker (currently sipping on a cup of lavender earl grey) and am excited to have found your beautiful website full of fantastic tea resources. Thanks for the shoutout! Seems we have some things in common. My dog Maya is a rescue and I have her here in a couple of posts. Since it is specialty teas you write about, I wonder whether you have checked out teastudio.info. Even amongst the best specialties, we have teas which stand out. Any questions, I am always only a mail away. It looks like an amazing place. Thanks for sharing!